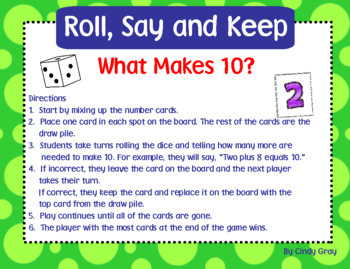 Roll, Say and Keep ~ What Makes 10? For any number 1-9, primary age students need to be able to find the number that makes 10 when added to the given number. 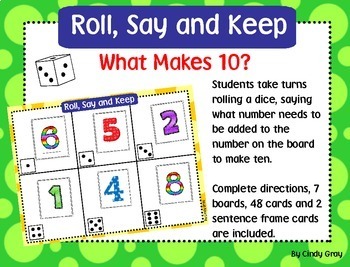 This activity allows the student time to build this understanding. 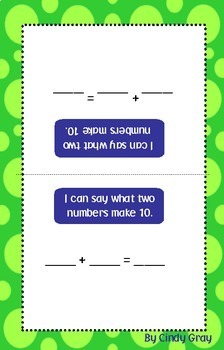 The students will use what they know about ten and the parts of ten to do this activity. 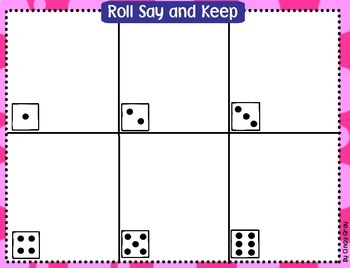 Included in this activity are game directions, 7 boards, 48 number cards and 2 sentence frame cards. To make the sentence frame cards, simply cut the card down the middle and fold in half. It will then stand on the table to help guide the students in their response to what makes ten. If used, it will help them stay focused and accountable for their learning. Valentine Game ~ What Makes 10? Don't forget to follow me so you will be notified when I post new products. As always, I appreciate your feedback. Thank you! !